The Petite design is small, light and easy to use. The Stretchgear™ Headgear provides even greater comfort and the maintenance-free bias diffuser ensures a quieter operation. 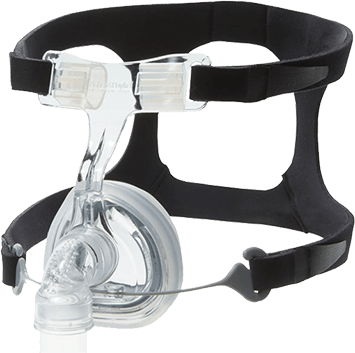 The FlexiFit 406 Petite Nasal Mask comes as an Out-of-Box Solution fully assembled and ready for use.